Our mission here at Serenity Blue is to not only share the things we love with you, but also to spread the word about issues that are important to us. 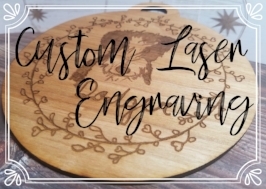 We are a collective of artisans that share not only our love of crafting and nerdery, but have also bonded over our quests to heal from the lumps and bumps life deals out. So, these are our stories and this is our store. In the words of Bram Stoker, "Enter freely. Go safely, and leave something of the happiness you bring." Our take on this Ark:Survival Evolved / Minecraft crossover. A fun take on Betrayal at House on the Hill!